Ms. Nguyen Thi Phuong Thao in 44th place on this year's list, headed by Angela Merkel. 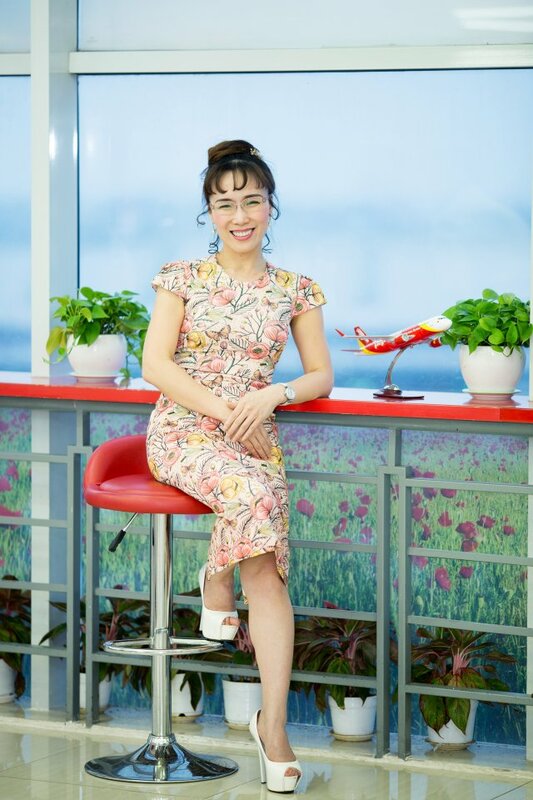 Ms. Nguyen Thi Phuong Thao, President and CEO of Vietjet Air, has been listed among the World’s 100 most powerful women by Forbes. She is the only representative of Vietnam and is listed at 44th, up eleven spots against last year. Forbes estimated the self-made billionaire’s assets at around $2.6 billion, higher than last year’s $1.98 billion. Ms. Thao is Chairwoman of Sovico Holdings, President and CEO of Vietjet, and Standing Vice Chairwoman of HDBank. She holds a Ph.D in Economic Cybernetics and a Bachelor’s Degree in Credit-Finance. She successfully listed Vietjet and HDBank on the Ho Chi Minh Stock Exchange (HoSE) in 2017 and 2018. The combined market capitalization of the two companies stands in the billions of dollars and she is now the second richest person on Vietnam’s stock market. Topping the Forbes list was German Chancellor Angela Merkel, followed by UK Prime Minister Theresa May, Managing Director of the International Monetary Fund Christine Lagarde, and CEO of General Motors Mary Barra. The first female president of the New York Stock Exchange since it opened in 1792, Ms. Stacey Cunningham, was 27th. This is Forbes’ 15th annual Top 100 list of the most powerful women in the world, including women in business, finance, media, politics, social / philanthropic / NGOs, and technology. The annual rankings are based on multiple categories such as asset quality, media exposure, segment, and international influence. According to Executive Vice President Moira Forbes, the women on the list have a wide and direct influence on more than 3 billion people worldwide, with activities in various fields.